Operator Certification deals with the certification of operators of community and non-transient non-community water systems, asbestos specialists, pesticide applicators, hazardous waste transporter, and other such specialists as required by the EPA or a state agency implementing an EPA-approved environmental regulatory program. EPA Operator Certification Guidelines State Implementation Guidance (January, 2000): includes a sample State Attorney General’s certification; a Crosswalk/Checklist table to assist States and EPA in determining whether or not a State’s operator certification program complies with or is substantially equivalent to the requirements of the guidelines; a list of Initial Submittal Items to accompany a State’s initial submittal of its Operator Certification program to EPA; and a Question and Answer document. Federal Register Notice (114 K PDF FILE) (April 18, 2001) Final Additions to the Final Guidelines for the Certification and Recertification of the Operators of the Community and Nontransient Noncommunity Public Water Systems; Final Allocation Methodology for Funding to States for the Operator Certification Expense Reimbursement Grants Program (April, 2001). This notice includes EPA’s process and schedule for reviewing state operator certification programs and for making Drinking Water State Revolving Fund (DWSRF) withholding determinations; a clarification in the Operator Certification Guidelines with respect to the validation of certification exams; and the final allocation methodology for funding grants to states for the Operator Certification Expense Reimbursement Grants program. 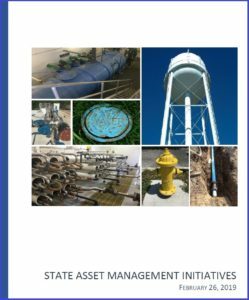 State Annual Submittal Contents and Memo (40 K PDF File, 2pgs) (October 2001) contains the broad recommendations for compliance reporting under the SDWA Operator Certification Program. EPA Memorandum on Conducting Internal and External Reviews on State Operator Certification Programs (PDF; 5 pages) (March 2009) provides suggested methods for internal and external review of state operator certification programs; recommends appropriate external reviewers; and specifies the types of information to be included in the annual operator certification program implementation report. While there are no specifically identified “tools” for the operator certification program, there are a number of programs designed to help train operators across the breadth and depth of their program needs. Most states have their own training initiatives that are designed to meet state certification requirements. However, one of the more widely known training programs that offers courses and activities for small system operators is the Office of Water Programs at the California State University, Sacramento (CSUS) College of Engineering and Computer Science. The CSUS program provides distance learning courses for persons interested in the operation and maintenance of drinking water and wastewater facilities. More information about this training program and its products is available at http://www.owp.csus.edu/training.php. ASDWA’s CapCert Connections is for state drinking water program operator certification and capacity development coordinators. Our goal is to share timely, informative articles designed to help make your efforts easier to accomplish; give you insights into what your peers are working on; and keep you up to date with meetings, workshops, and other plan-ahead events. We hope that this blog will encourage greater collaboration between the Capacity Development and Operator Certification programs and enhance the ability of both programs to support drinking water systems across the United States. Subscribe or search the archives at the CapCert Connections blog site [http://capcertconnections.asdwa.org].